On Saturday afternoon 4 groups of GSPCA team members attended the Guernsey Press Pride of Guernsey Awards as we had 4 finalist entries. 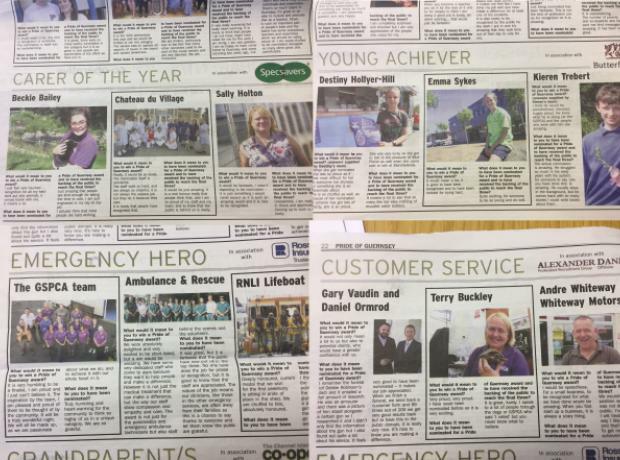 Last year Geoff George our Animal Ambulance Driver won the Emergency Hero Award in the Pride of Guernsey Awards and this year we were humbled and shocked as the GSPCA, two staff and one volunteer were finalists at Saturday’s Awards. Last year Geoff George our Animal Ambulance Driver won the Emergency Hero Award in the Pride of Guernsey Awards and this year we have been humbled and shocked as the GSPCA, two staff and one volunteer are finalists at tonight’s Pride of Guernsey Awards. Voting closed recently and tonight is the big night we find out if any of our finalists will win this years awards or if they will be sharing the lime light with amazing Guernsey people and organisations. Last year Geoff George our Animal Ambulance Driver won the Emergency Hero Award in the Guernsey Pride Awards and we need your votes for our team, staff, volunteers and some fantastic supporters of the GSPCA. 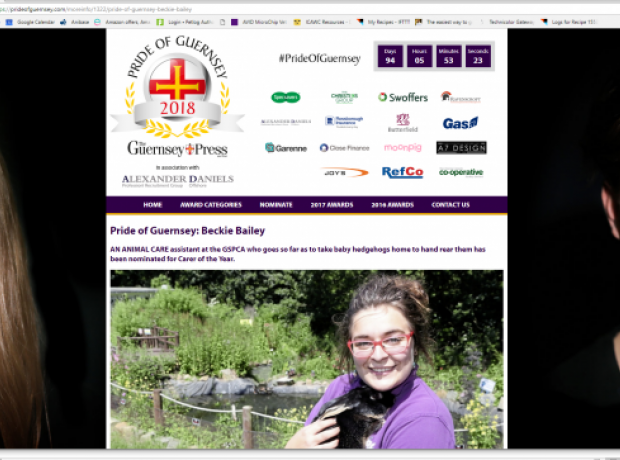 We are very proud to share that one of our amazing team members Beckie Bailey has been nominated for Carer of the Year in the Guernsey Press Pride of Guernsey Award sponsored by Specsavers. We are so proud of Geoff George in the Pride of Guernsey Emergency Hero Award earlier this month. All of the GSPCA team would like to congratulate Animal Collection Officer Geoff George who has been working at the GSPCA since 1998. 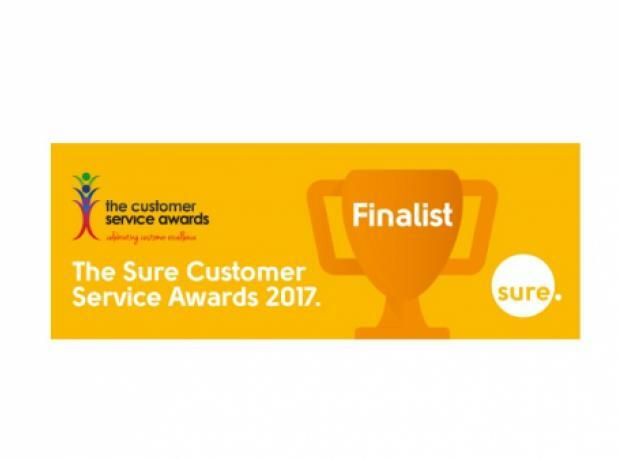 The GSPCA have been recently contacted by the Sure Customer Service Awards with the wonderful news that we are a finalist in the Best Use of Social Media. This follows a period of public nominations, and a judging panel meeting last week to decide the deserved finalists in each of the nine categories. We have also been informed that GSPCA volunteer, Suzy Rose, whilst not a finalist, was highly commended in the category of Humble Volunteer. The GSPCA and a fantastic supporter nominated in the Pride of Guernsey Awards and there are a few days left to nominate.